One of the first skills a student should learn with fractions is how to reduce fractions. 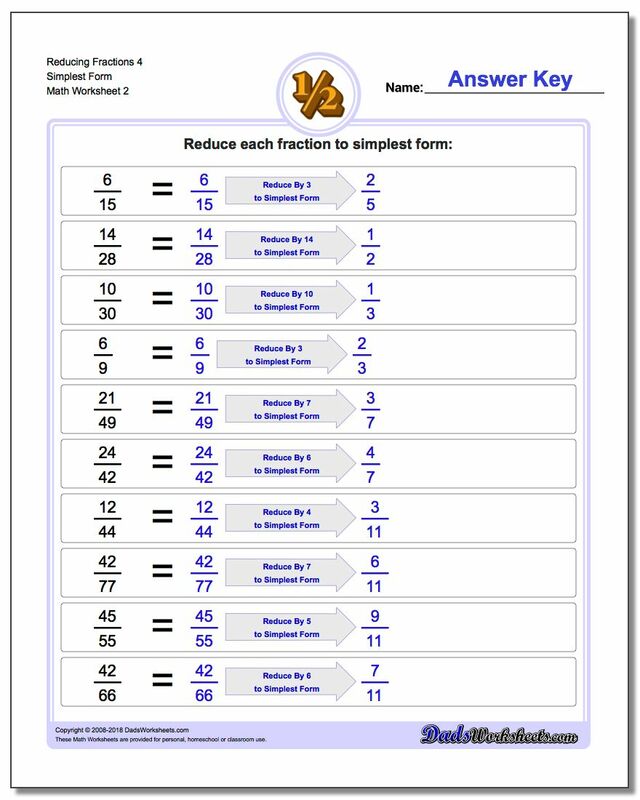 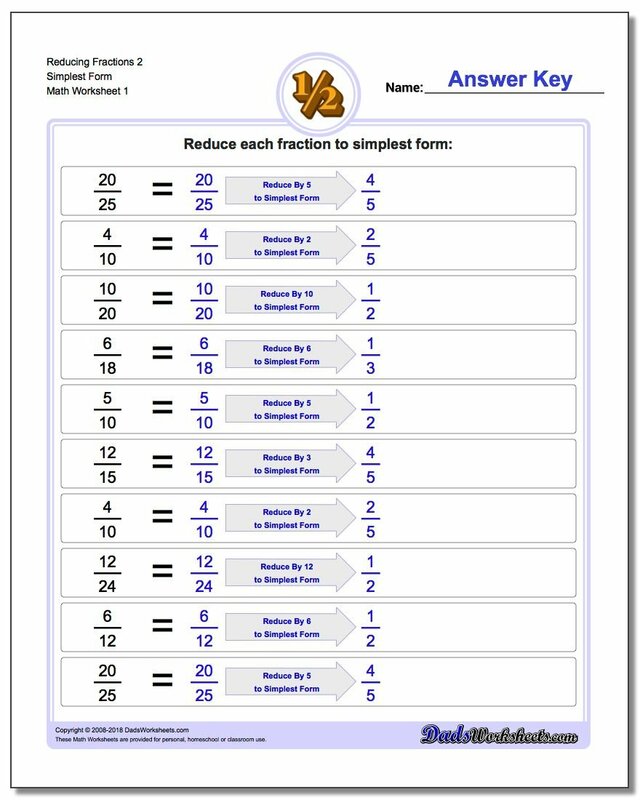 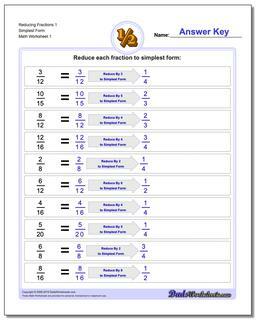 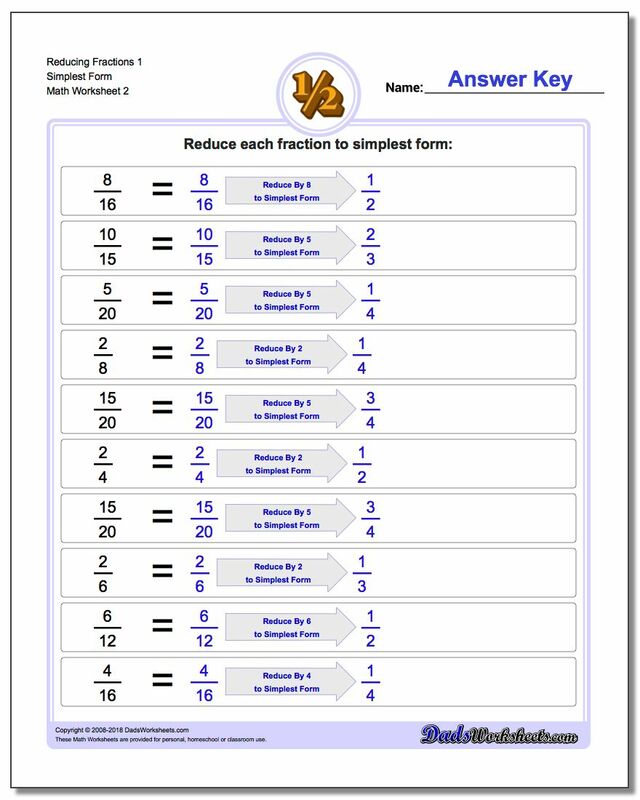 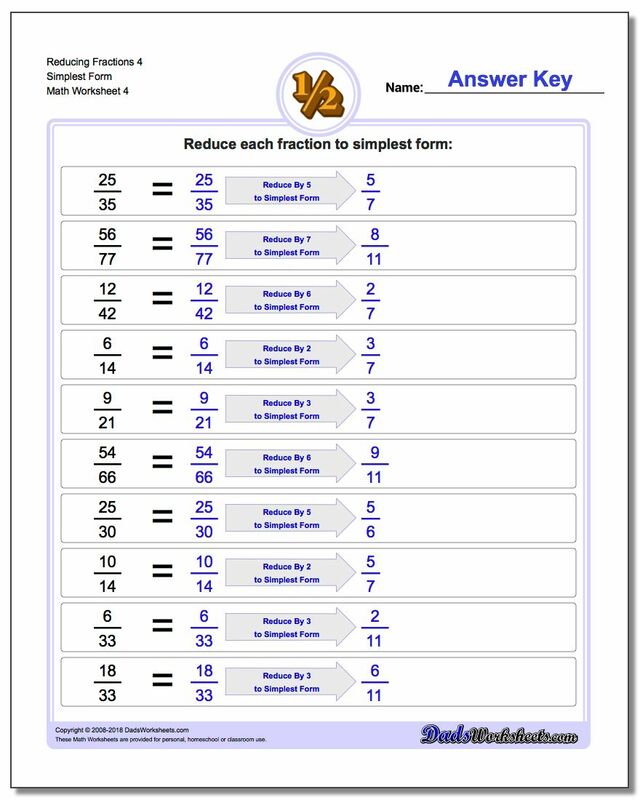 There are several series of worksheets on this site dealing with reducing fractions that gradually introduce more complex fractions. This set of worksheets requires reducing fractions to simplest form, but the starting fractions are always proper. The series of worksheets here have increasingly larger denominators that make finding common factors more challenging as the students abilities increase.